Apparently, eyes evolved approximately 540 million years ago as merely light detecting organs. However, today vision is without a doubt the most important sense for most animals, as well humans. Vision has become very complex and varied. Here are 5 animals that have amazing vision. The tarsier is a squirrel-sized primate which can be seen in the rainforests of Southeastern Asia. It is the only primate in the world that is fully predatory, as it lives off of insects and lizards. What is most notable about this animal, however, is its huge eyes. 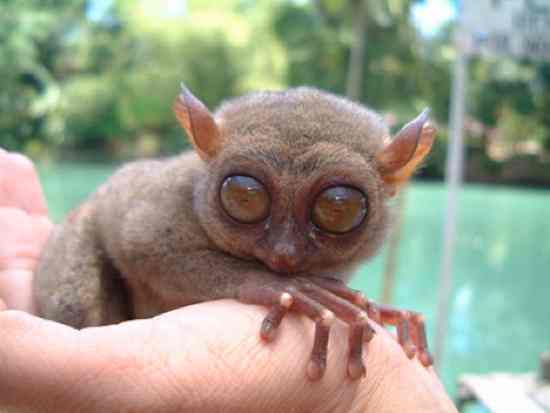 In fact, tarsiers have the largest eyes of any living mammal, in proportion to body size. To better understand this, if humans had eyes as big as the tarsiers, they would be equal to grapefruits. Their huge eyes are fixed into their skulls and in order to compensate, they have an extremely flexible neck. Each of their eyes is heavier than its brain and they have incredible eyesight as well as night vision. They may even be able to see ultraviolet light. Chameleons are known for their unique ability to change colors. This ability enables them to express their mood and intentions to their fellow chameleons. These lizards also have very interesting eyes with fused eyelids that cover nearly their entire eyeballs, with only a very small hole that allows the pupil to see. 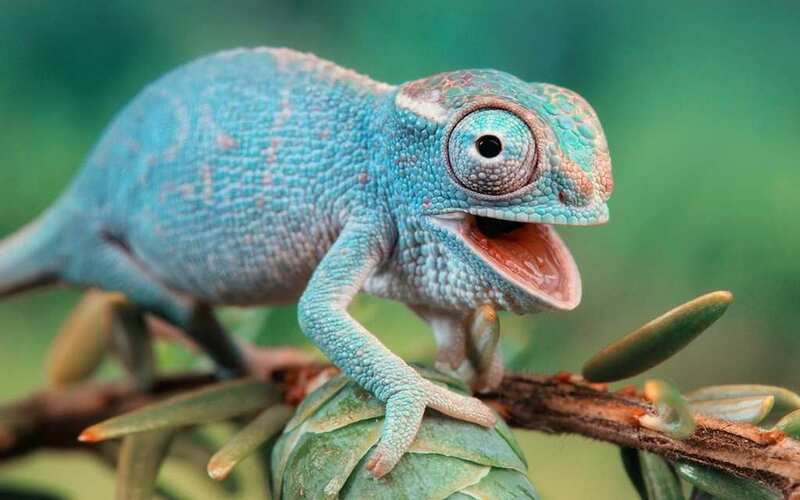 The chameleon can move each of his eyes independently of the other, meaning they have a 360 degree of vision, which helps him scan for threats and prey at the same time. Chameleons have very sharp eyesight and can spot even an insect for meters away. They can also see ultraviolet light. 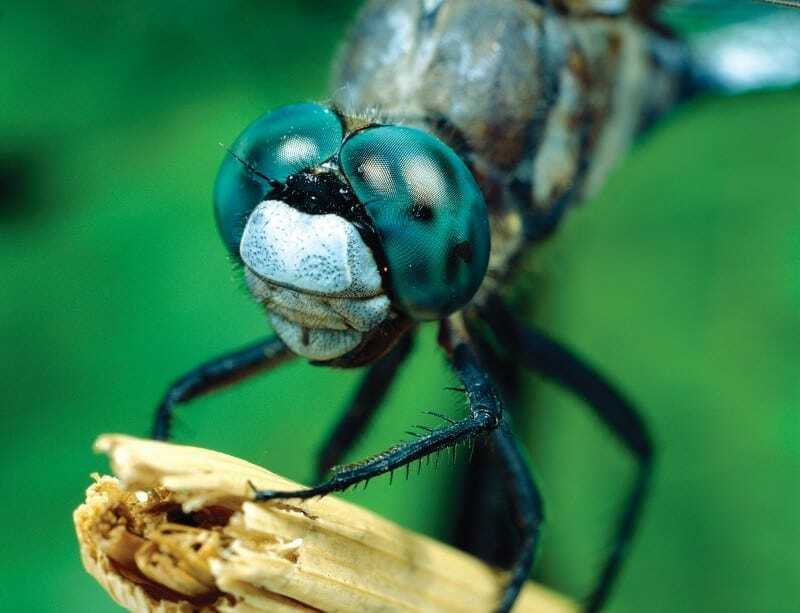 The dragonfly might very well be the most aerial hunter for insects and has one of the most impressive eye sights of all animals. Their eyes are so large that they cover nearly their entire head. This, in turn, gives it a 360 degree of vision and their eyes are made from 30, 000 units of ommatidia. Each one of these units has a lens and light sensitive cells. The can detect both colors as well as polarized light. Geckos have surreal-looking eyes, with vertical pupils and holes that widen during the nighttime. This allows these lizards to get as much light as possible. They have more light sensitive cells than a human does, which enables them to detect objects and see colors even during nighttime. 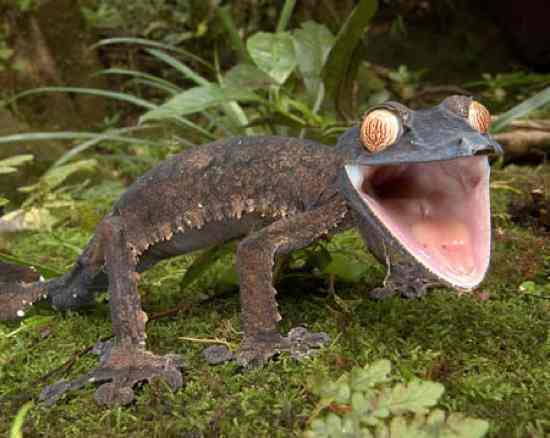 Geckos can, in fact, see up to 350 times better than humans do in dim light. Pretty crazy. 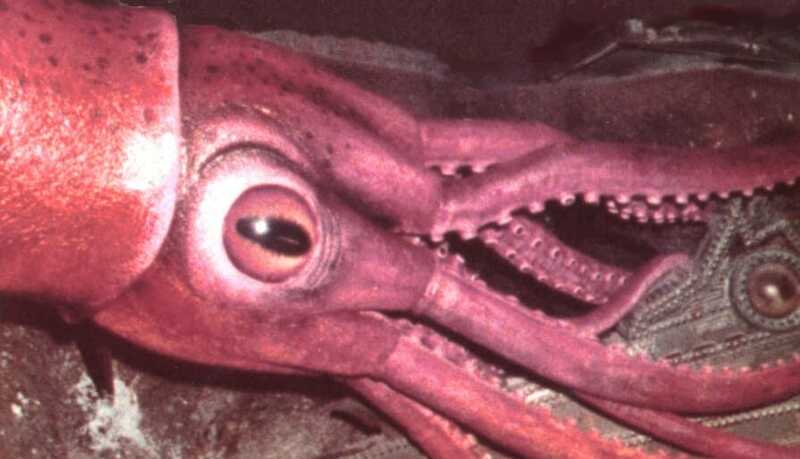 The Colossal Squid is the largest invertebrate alive.Each of this squid’s eyes can be as large as 30cms across, which is even larger than a dinner plate. Their enormous eyes enable them to see in dim light, which is useful for this animal as they spend most of their lives hunting below the surface. They have stereoscopic vision and can judge distances. This incredible squid also has built in headlight type organ, which produces light.